Issue Matrix is a Jira add-on that gives the main screen in Jira a face lift! It improves how the main issue screen is visualized, making it more user-friendly and effective to use. 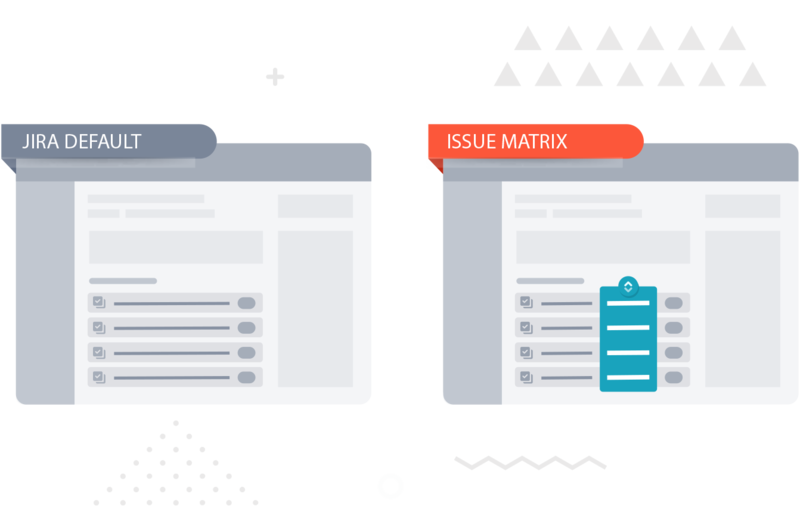 Issue Matrix can be used with sub-tasks, Issue Links, and agile Epics, and it is easy to configure the add-on in Jira’s administration. Issue Matrix improves how Jira issues are visualized, making it more effective to read and user-friendly for both business and technical users. It gives greater visibility into additional information and fields about each sub-task, linked issue, or Stories in Epics without opening it individually, thus saving teams hours of pointless clicking. 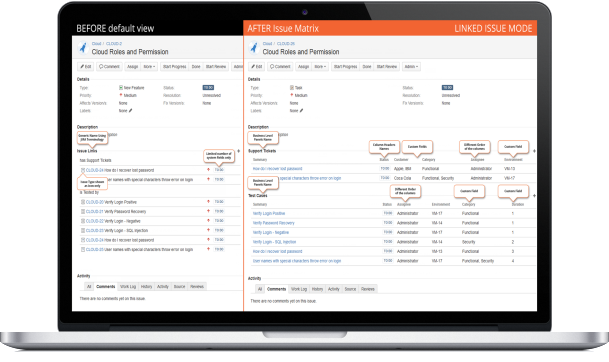 Additionally, Issue Matrix allows users to configure color-coded categories, enabling them to quickly identify issues within Jira or Service Desk requests based on some specific criteria (e.g. due date). This provides additional visibility and improves the work of teams. The Issue Matrix works as easily in Jira’s Agile environment. With the Issue Matrix, you can improve how the screen is visualized by adding additional descriptive columns. All information is available on a single screen without the need to open each field individually. Issue Matrix allows users to visualize issues which are not directly linked, but share a common context. An invaluable feature for JIRA and Service desk users which allows issues to be contextually linked based on a system (e.g. reporter) or custom (e.g. labels) value field. The advanced JQL syntax enables users to filter a list of related, yet not directly linked issues based on their system or custom fields value, thus allowing the comparison of issue fields with the values stored in the currently viewed issue.